The 35th Annual Grammy Awards were held on February 24, 1993 and recognized accomplishments by musicians from the previous year. The nominations were announced on January 7, 1993. The evening's host was the American stand-up comedian Garry Shandling, who hosted the ceremony for the third time. The CBS network broadcast the show live from the Shrine Auditorium in Los Angeles, California. This particular Grammy live broadcast was the commercially most successful of its kind in the 1990s. As Nielsen Media Research and Billboard magazine stated on January 10, 2004, "the highest-rated Grammy show of the 1990s was the 1993 telecast, which got a 19.9 rating/31 share and 30 million United States viewers" alone. British guitarist and singer Eric Clapton was the night's big winner, winning six awards out of nine nominations including Album, Song and Record of the Year. Michael Jackson, having been recently interviewed in Oprah Winfrey Show had received the Grammy Legend Award from his sister Janet Jackson, for whom she won Best R&B song for her single That's the Way Loves Go. A small segment of the show was "How to Become a Legend" narrated by Janet. A total of twelve live performances where held at the ceremony, including the opener "Steam" by Peter Gabriel, "Constant Craving" by k. d. lang, "Give It Away" by the Red Hot Chili Peppers with George Clinton and P-Funk, "Save the Best for Last" by Vanessa Williams, "My Lovin' (You're Never Gonna Get It)" by En Vogue, "The Lady Is a Tramp" by Tony Bennett and Natalie Cole, "The Whiskey Ain't Workin'" by Travis Tritt and Marty Stuart, "People Everyday" by Arrested Development, "Achy Breaky Heart" by Billy Ray Cyrus, "Hallelujah!" by Mervyn Warren and Los Angeles Master Chorale, "Beauty and the Beast" by Celine Dion and Peabo Bryson as well as "Cherokee" by Arturo Sandoval featuring the GRP All-Stars Ensemble and Clapton's "Tears in Heaven". At the 45th Primetime Emmy Awards in 1993, the production mixers Ed Greene, Rick Himot, Don Worsham, David Hewitt and Paul Sandweiss were nominated for Outstanding Individual Achievement in Sound Mixing for a Variety or Music Series or a Special, losing to Star Trek: The Next Generation. Russ Titelman (producer) & Eric Clapton for "Tears in Heaven"
Eric Clapton & Will Jennings (songwriters) for "Tears in Heaven"
Celine Dion & Peabo Bryson for "Beauty and the Beast"
Richard S. Kaufman (conductor) for "Beauty and the Beast"
Melissa Etheridge for "Ain't It Heavy"
Stevie Ray Vaughan & Double Trouble for "Little Wing"
Red Hot Chili Peppers for "Give It Away"
Nine Inch Nails for "Wish"
^ a b Hay, Carla (January 10, 2004). "Grammy Ratings Share" (PDF). Billboard Magazine. Nielsen Business Media, Inc. 116 (2): 13. ISSN 0006-2510. Retrieved March 5, 2017. ^ "35th Annual Grammy Awards Production Credits". The Recording Academy. Direct Upload. Retrieved 23 April 2017. ^ "35th Annual GRAMMY Awards | GRAMMY.com". Grammy Awards. The Recording Academy. Retrieved March 5, 2017. ^ "1993 Grammy Nominations". The Baltimore Sun. Light For All, LLC. January 8, 1993. Retrieved March 5, 2017. ^ Stedman, Alex (March 24, 2016). "Garry Shandling Dies at 66". Variety.com. Retrieved March 5, 2017. ^ "1993 Grammy Winners". The New York Times. The New York Times Company. February 26, 1993. Retrieved March 5, 2017. ^ "GRAMMY Rewind: 35th Annual GRAMMY Awards". The Grammys. The Recording Academy. 26 January 2012. Retrieved 23 April 2017. ^ "Clapton awarded 6 Grammys including best song, album". The Milwaukee Sentinel. Google News. February 25, 1993. Retrieved March 5, 2017. ^ "Lifetime Achievement Award | GRAMMY.com". Grammy Awards. The Recording Academy. Retrieved March 5, 2017. ^ Todd Everett (February 24, 1993). "35th Annual Grammy Awards". Variety. Penske Business Media, LLC. Retrieved March 5, 2017. 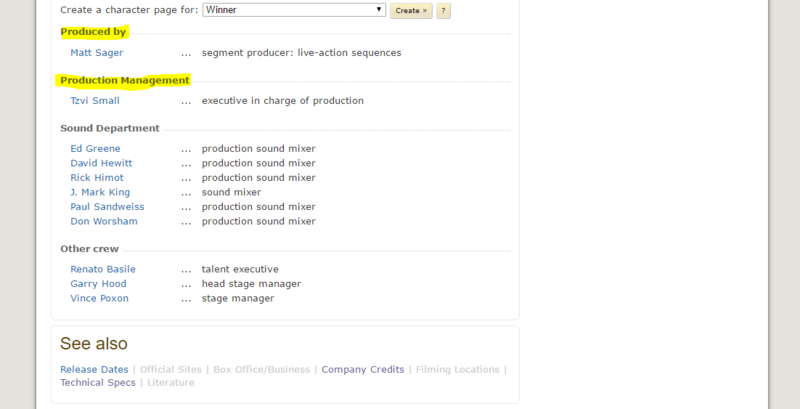 ^ "Nominees/Winners". The Television Academy. The Emmys. Retrieved 23 April 2017. This page was last edited on 17 April 2019, at 20:55 (UTC).